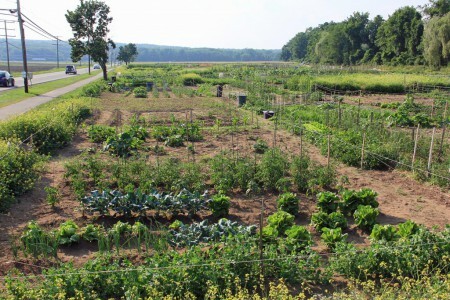 Kolp gardens is the largest community gardening area in the state of Connecticut. It offers potential gardeners 92 large plots with 2500 square feet of planting space, and 104 small plots with 625 square feet of space. 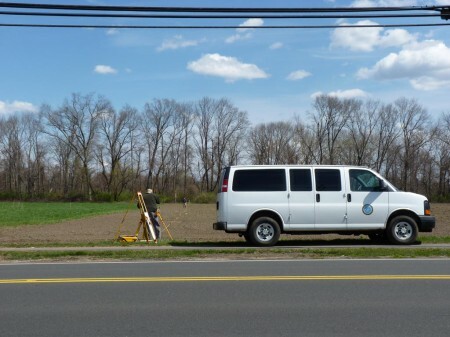 All of these plots are professionally measured and numbered by a town surveying team and prepared for planting by one of a local professional farmers. The gardeners start planning their gardening season as early as late February, by starting seeds, indoors, in preparation for planting outdoors in April. The folks that work these gardens are, in my opinion, skilled craftsmen and innovative artists. They all have developed interesting and creative gardening techniques that are skillfully applied to their assigned areas. The plots are open to residents of surrounding towns as well as Farmington residents. 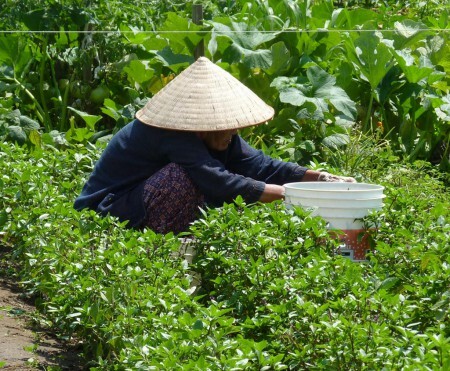 This brings gardeners of various ethnic and social backgrounds together, and blends them into a community where everyone has one universal passion—gardening. Vegetables and flowers from around the world can be found here. Giant pumpkins from Porto Rico, large, sweet tasting, and flavorful zucchini squash from Italy, and tender kale from Portugal have been planted this season.. The large plots are usually planted by veteran gardeners, some of whom have been working these gardens since they opened in the 1980s. 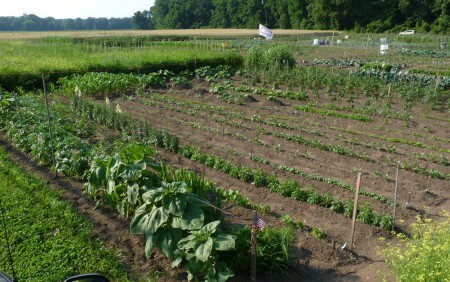 The smaller plots are worked by both veteran and new gardeners. 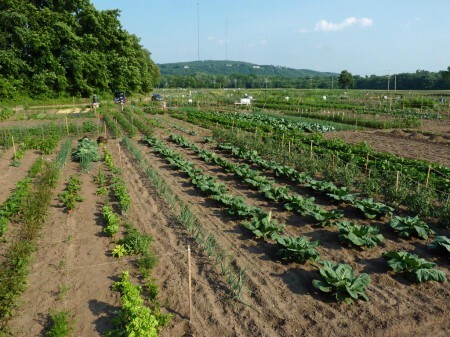 All of these plots, regardless of size, require the constant attention of a skilled and dedicated gardener. 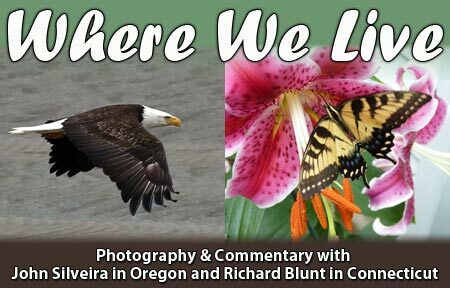 If a new gardener needs technical advise on how to set up and maintain their plot, all of the veteran gardeners are willing to answer questions and lend help when necessary. I will be returning to Kolp Gardens during this planting season to record and share, with you, the progress of the various plots. Hopefully, this year, we will be spared the late season tropical storm and and early October snow fall that destroyed the area last year. 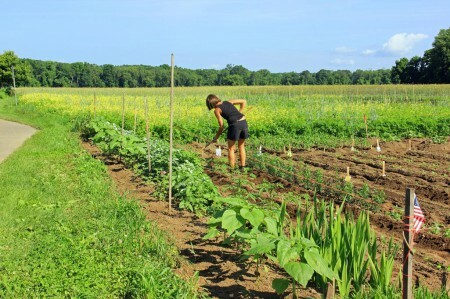 With some good fortune and a lot of dedicated work all of these gardeners will be rewarded with a bounteous harvest in the fall. 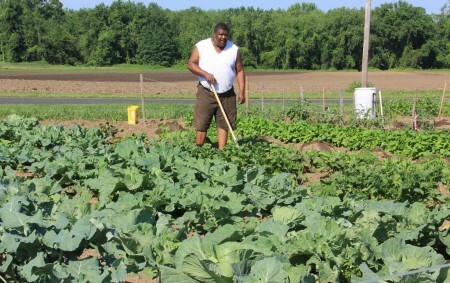 There are several successful commercial farms sharing this fertile land with the Kolp Gardeners. 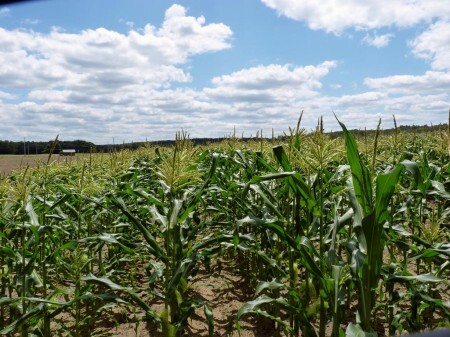 Sweet corn seems to be the largest crop planted by these farms, but I have also seen potatoes, bush beans, tomatoes, summer and winter squash, pumpkins, winter rye and other vegetables being planted and harvested. The corn and winter rye fields above belong to the farm that also prepares Kolp Gardens soil for planting in the spring. 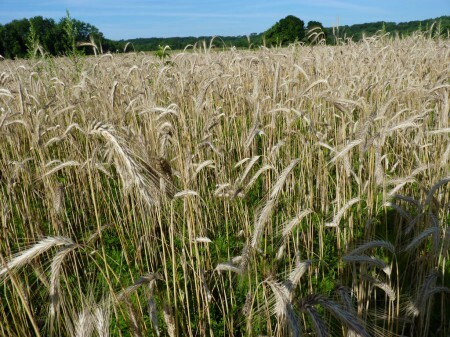 The bailed winter rye, shown above, belongs to another farm. 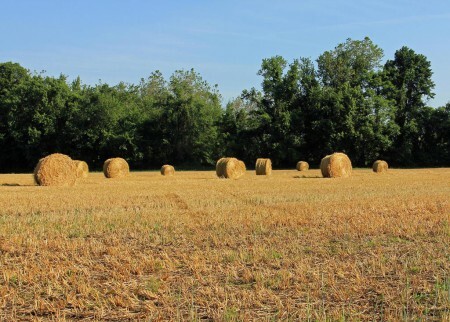 It serves as a cover crop during the winter and provides an ample harvest of mulch and feed hay to be used through-out the year. Town surveyors planning the the plot layout for Kolp Gardens in Mid March. Hours after their plots were marked by the surveyors, these two gardeners were there to start planning their gardens. Kolp gardens on Friday June 22, 2012. The Farmington River flows south/east past the gardens on the left, behind the trees. Above is a view of the gardens in that direction. Most of the large plots are on this end. Above is a view of the gardens facing north/west. Most of the smaller plots are at this end. Above is Master gardener, Terri, crafting her garden for this growing season. She plants a varied assortment of vegetables, and some interesting flowers varieties. My daughter, Sarah, loves sun flowers, especially the varieties grown in this garden. I have asked Terri list the flowers that she is planting this year. I will post pictures and the names of the different varieties as the season progresses. I must note that I have never seen anyone else working this plot except Terri. Her garden is a classic example of how the gardeners at Kolp implement their talent and imagination. A local Girl Scout troop learning how to garden from two knowledgeable instructors. On my last visit the progress in their garden showed them to be fast learners. This entry was posted on Monday, June 25th, 2012 at 12:30 pm	and is filed under Gardens. You can follow any responses to this entry through the RSS 2.0 feed. Both comments and pings are currently closed.